Can you believe it’s nearly spring? Before we know it the school summer term will be here and children throughout the northern hemisphere will be studying for exams. Whilst study and revision time is important for securing good grades many experts now agree that what we eat and how much we move also play an important role. 1. Healthy oils – foods such as oily fish, avocado, hemp, flax and fish oils contain the omega 3 fatty acids EPA and DHA which have proven very beneficial to the workings of the brain. Unfortunately the western diet tends to be very rich in omega 6 fatty acids which the brain makes use of in the absence of omega 3. It tends to be a bit like a diesel car trying to run on unleaded petrol, OK in the short term but with long term problems developing. 2. Water – our brains are 75% water. We must keep them properly hydrated to enable them to work at their best. 3. Blueberries – these little berries are little power houses of brain goodness. They are full of healthy antioxidants and packed with vitamin C. They have been proven to help with memory and cognitive function. Preheat the oven to 320F/160C. Melt the butter in a saucepan. Add the sugar, honey and peanut butter and cook until softened. Remove from the heat and stir in the banana and porridge oats. Turn into a greased and lined cake tin. Push into corners with a spoon. Bake in the oven for 20 minutes until golden brown. Mark into rectangles and leave to cool before lifting out. Maggie Ayre is the UKs leading Fitness Coach for Teen Girls. As well as one-to-one and small group nutrition and fitness work with teens she has developed the 3G Program designed to be run at schools as part of the PE curriculum. She also offers mentoring for PE departments on how to re-engage teen girls with PE and has recently published her third book; “Nutrition for Exam Success – A Parent’s Guide” which is now available as a Kindle and paperback at Amazon. 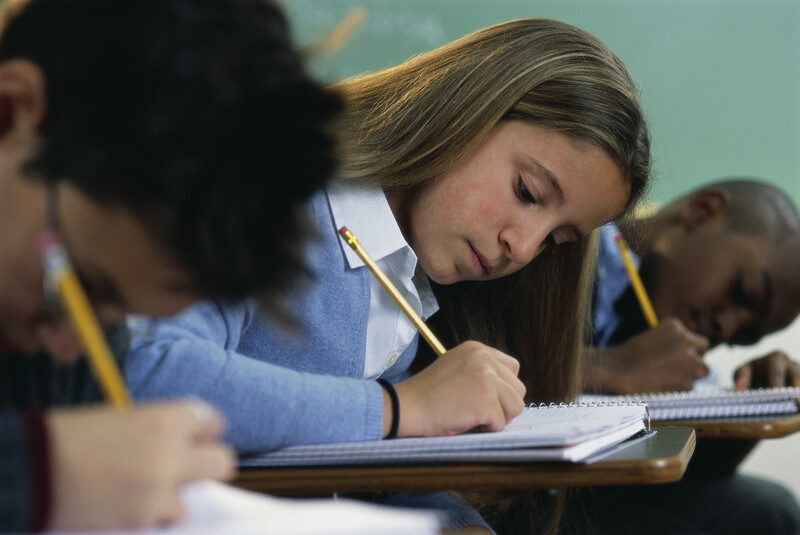 By making subtle changes in your child’s diet and lifestyle you can really boost their brain power for exams. Keep Hydrated to Maintain Focus. Our bodies are 70% water. We need this balance to exist in order to be healthy. Just a slight drop in water levels leads to massive changes in our ability to concentrate, focus and reason. We become weaker and our bodies function far less efficiently. If we don’t drink enough water we start to function at a lesser, slower rate. Water is essential for our powers of learning. 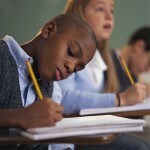 It is the most important thing our bodies need to be able to concentrate, study, focus and remember effectively. Our level of hydration also affects the speed we are able to work at and fills us with energy. Water can affectively turn the slowest most slovenly teenager into sharp, focused and energised student. Keep the Healthy Snacks Handy Who doesn’t snack whilst they are revising? Many teenagers surround themselves with energy drinks, chocolate bars, packets of crisps and bags of sweets as the only way to get them through revision time. However, there is a better way! In fact healthy snacking can be just as comforting whilst at the same time providing you with energy to keep going on those mammoth through-the-night sessions. It is important to snack on the right sorts of foods like raw vegetable sticks, walnuts, grapes, strawberries, bananas and so on. So stock up on healthy snacks and have them readily available for your teen. By planning in advance and preparing the food ahead of time, you’ll eliminate the stress and enable your teen to concentrate purely on the matter in hand; revising for their exams. Ensure a Good Night’s Sleep and a Good Start to Exam Day. You probably know that avoiding caffeine and sugar are a good idea when you want a good night’s sleep but did you know that walnuts are a natural source of melatonin which helps us fall asleep? Melatonin occurs naturally in the body but a lack of it can cause insomnia. Walnuts bridge the gap, making them an ideal addition to diet during stressful revision and exam periods when sleep can elude us. Hunger, tiredness and dehydration can all have a significant impact on how well your teen does in an exam. Research tells us that young people who don’t eat breakfast demonstrate a 20-40% reduction in their concentration, alertness and thinking skills. This can have an effect on any day but on an exam day the results could be catastrophic. Ensure they stock up on eggs, blueberries and smoked salmon before an exam for an extra brain boost.